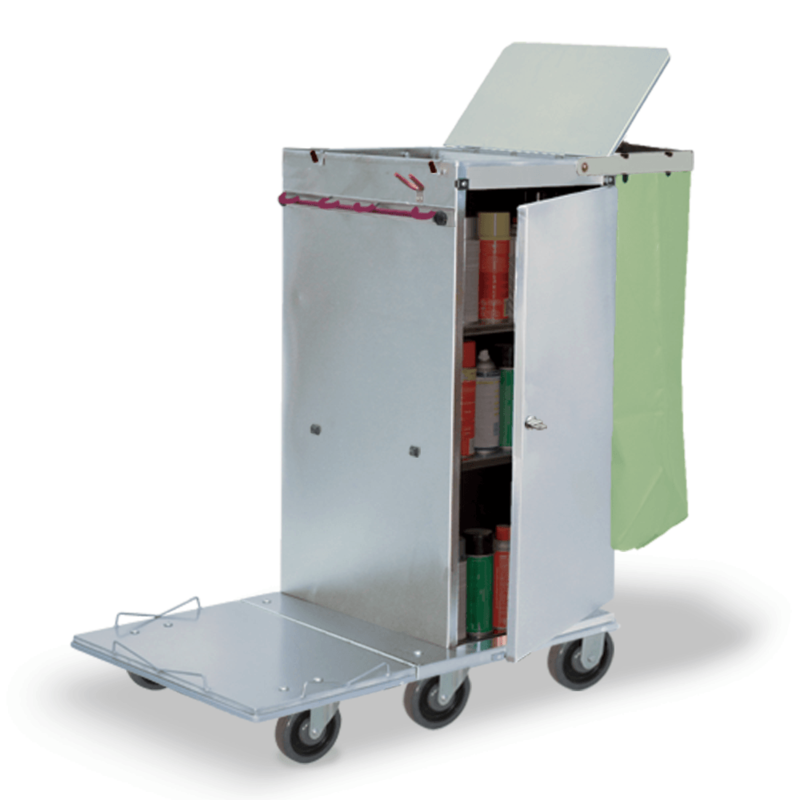 Standard Stainless Steel Ultra Secure Microfiber Cleaning Cart with 16″ x 20″ x 36″ Cabinet with Two Shelves, 23″ x 36″ Base, “Snaprack” Tool Holder, Locking Door with Combination Lock, Flat-Band Handle for Clip-On Zip Bag, Combo-Locking Trash Lid, Backbar mounted in between Cabinet & Zip Bag with 14″ x 24″ Clip-on Pouch with MNET & Wet Floor Sign Holder with Sign, mounted Combo-Locking TBOX, Hinged Locking Toolbar, #5TPR Quiet Smooth Rolling Wheels, and PST2 Double Microfiber Tubs with Sieve & Combo-locking Lid. 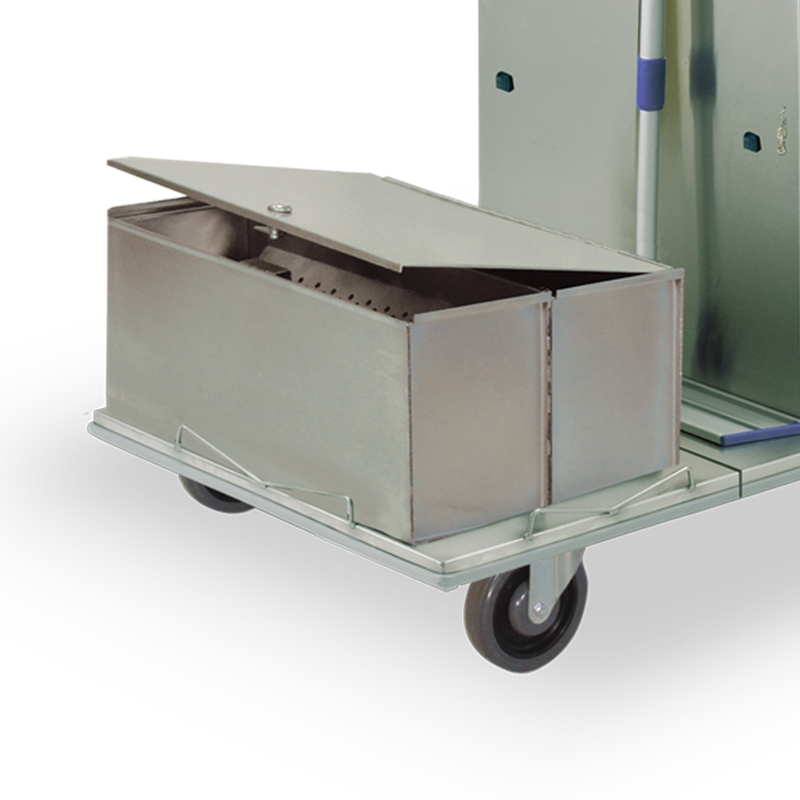 Choose either Folding or Non-Folding cart base below. 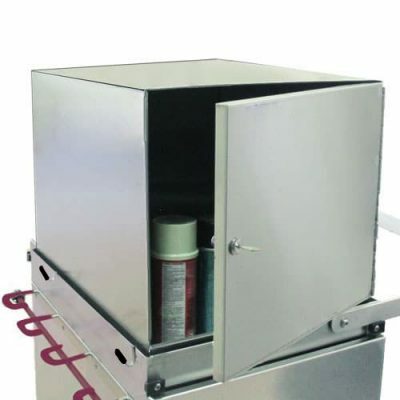 Need just the locking top box #TBOX to add to your existing cart? Click here. 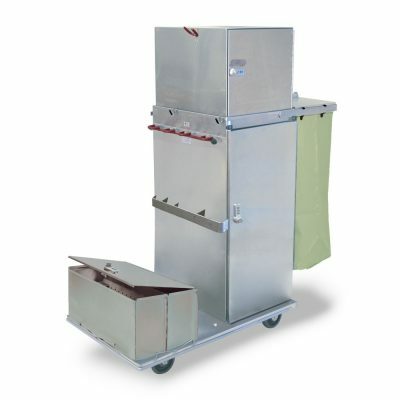 Provides extra storage space, keeps chemicals secure, etc.